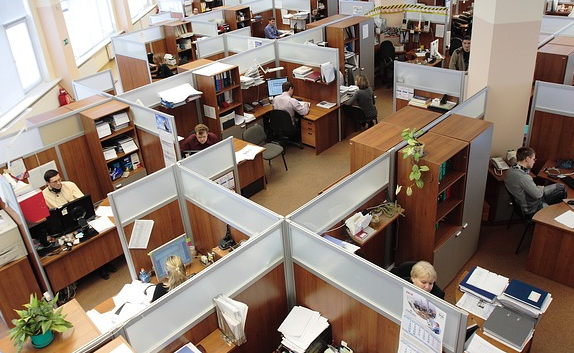 Workplace environment can be a breeding grounds for germs and other viruses. There will be times that you are not aware that the places that you’re working with can actually be a playground of germs, viruses and other bacteria that make you sick. To avoid getting sick, your workplace need some sanitation and cleaning. Our smart ways on how to prevent your workplace a breeding of germs will get you started with less effort. 1. Washing your hands is the best way to prevent spreading germs. After using the bathroom, the copy machines, attending meeting, etc., wash your hands. Make it a part of your routine because this can save you from getting viruses or germs that will make you sick. 2. Keep a bottle of hand sanitizer. When it is not possible to wash your hands, hand sanitizer is a good way to reduce germs. 3. Avoid touching your nose, mouth or eyes when working at your desk. Viruses and germs mostly spread and breed in these moist area of your body. 4. Carry your own pencils or ballpens when working or at the meeting. Most of the time, people tend to put these things in their mouth and bite them. These make viruses and germs spread easily when people are borrowing pens from each other. 5. Disinfect or wipe the telephone, mouse and keyboards. Doing this can help prevent the spread of viruses and germs in the workplace. Because these things are often shared, it is just smart to disinfect it before using them after they are shared. 6. Always wipe and clean your desk before and after using it. According to study, you can get 400 times more bacteria in your desk than the toilet seat. This is because the cleaning crews spend more time in scrubbing and cleaning the bathroom than cleaning the employees’ workplace to avoid disturbing them while working. 7. Use your knuckle when pushing the elevator buttons. If you are working in the building with many floors, use your knuckle when pushing the button. This is one of the places that frequently used by your co-workers, clients and guests most of the day and can be the breeding grounds of germs and bacteria. 8. Keep your own mug and wash it regularly or opt for the paper cup. If you love coffee breaks, the office kitchen is a magnet of germs and viruses and most of the time, office cups can be one of the hidden places where germs and bacteria breed. 9. Keep your workspace tidy and clutter-free. There will be less mess where germs can accumulate. This habit can also boost your productivity. 10 Houseplants can help. Houseplants, like bamboo palm and peace lily, can help filter the air and reduce the bacteria spread by everyone. 11. Empty trash bins regularly. Set-up schedule time on when to empty trash bins. Trash bins are the pure breeding grounds of germs and bacteria. 12. Be lenient with sick day policy. If you are sick, go home or stay at home. It is one of the smartest ways to avoid contaminating your office and spreading germs to your co-workers. A little bit of prevention goes a long way and focusing on stopping the germs can make your workplace the breeding ground for productivity and creativity.